Aesteiron Steels are Tube Couplings manufacturers & suppliers. 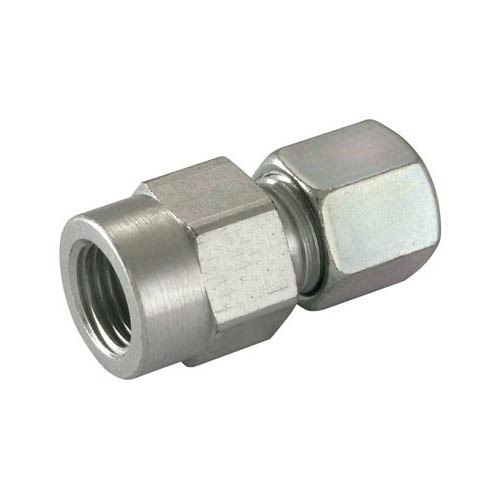 Tube Coupling is used to connect pressure or vaccum lines to tubes. The coupling is simply pushed over the end of the tube & pressed firmly to the stop position. This provides an effective leak proof sealing. The tube can be discounted merely by pressing down the lever & pulling off the coupling.